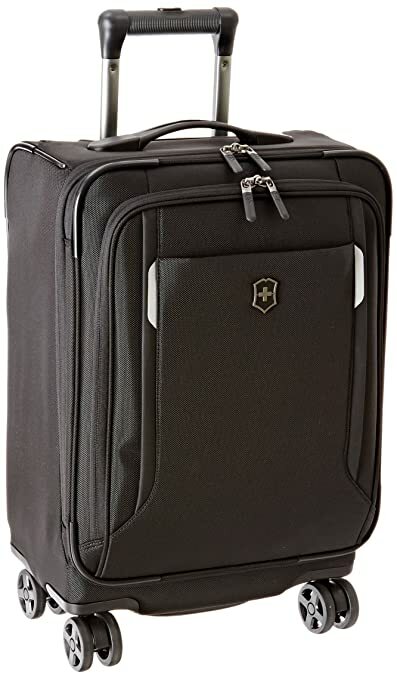 Lightweight U.S. Carry-on contains the intelligent pack more system which consists of five packing solutions including the pack more divider which allows you to pack clothing flat and wrinkle-free. U-shaped front pocket holds up to a 17 inch 43 cm laptop. The intelligent pack more system consists of five packing solutions resulting in 32 possible packing configurations. Pack more system includes the pack more divider, X-shaped compression straps, a removable suiter, a full 2.5 inch 6 cm zippered expansion and a removable attach-a-bag strap. Pack more divider is adjustable in height and creates a flat packing surface for wrinkle-free transport of clothing. X-shaped compression straps secure and condense contents of bag. Removable attach-a-bag strap secures an additional bag to the front of the upright and holds up to 30 lbs. 13.6 kg. Ribbed, geluxe comfort grip dampens vibrations. Id tray slides into handle bezel for security and convenience. Rear skid plates protect the bag from abrasion. Lockable YKK racquet coil zippers. Travel sentry approved combination lock secures belongings and allows U.S. Airport security screeners to open the lock without destroying it and relock it after inspection. Access lock combination recovery program allows you to register your lock combination on victorinox.com and recover it if it is ever forgotten. Global lifetime plus limited warranty- for five years from the date of purchase this warranty covers functional damage caused by common carries such as airlines, taxis, trains and cruise ships, as well as defects in materials and workmanship. Should a defect or damage appear under normal used during the first five years of ownership, we will repair or replace your product as appropriate at our discretion. For years six and beyond the product is guaranteed to be free from defects in materials and workmanship. See victorinox.com for full warranty details. 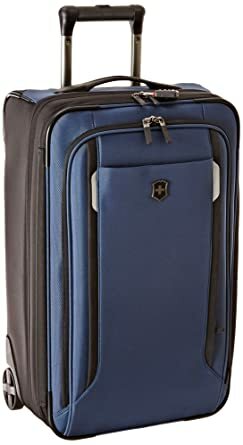 Lightweight U.S. Carry-on contains the intelligent pack more system which consists of five packing solutions including the pack more divider which allows you to pack clothing flat and wrinkle-free. U-shaped front pocket holds up to a 17 inch 43 cm laptop. The intelligent pack more system consists of five packing solutions resulting in 32 possible packing configurations. Pack more system includes the pack more divider, X-shaped compression straps, a removable suiter, a 2 inch 5 cm zippered expansion and a removable attach-a-bag strap. Pack more divider is adjustable in height and creates a flat packing surface for wrinkle-free transport of clothing. X-shaped compression straps secure and condense contents of bag. Removable attach-a-bag strap secures an additional bag to the front of the upright and holds up to 30 lbs. 13.6 kg. 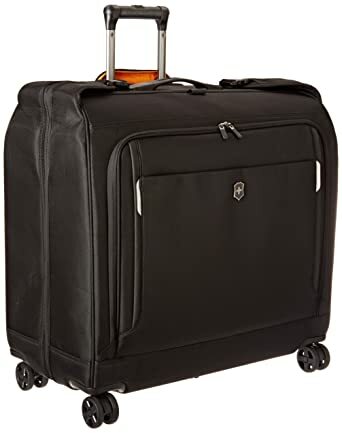 One-touch, dual-trolley aluminum handle system locks into three positions – 41 inch 104 cm, 39 inch 99 cm and 37 inch 94 cm – to accommodate travelers of various heights. Ribbed, geluxe comfort grip dampens vibrations. Id tray slides into handle bezel for security and convenience. Rear skid plates protect the bag from abrasion. Lockable YKK racquet coil zippers. Travel sentry approved combination lock secures belongings and allows U.S. Airport security screeners to open the lock without destroying it and relock it after inspection. Access lock combination recovery program allows you to register your lock combination on victorinox.com and recover it if it is ever forgotten. Global lifetime plus limited warranty- for five years from the date of purchase this warranty covers functional damage caused by common carries such as airlines, taxis, trains and cruise ships, as well as defects in materials and workmanship. Should a defect or damage appear under normal used during the first five years of ownership, we will repair or replace your product as appropriate at our discretion. For years six and beyond the product is guaranteed to be free from defects in materials and workmanship. See victorinox.com for full warranty details. 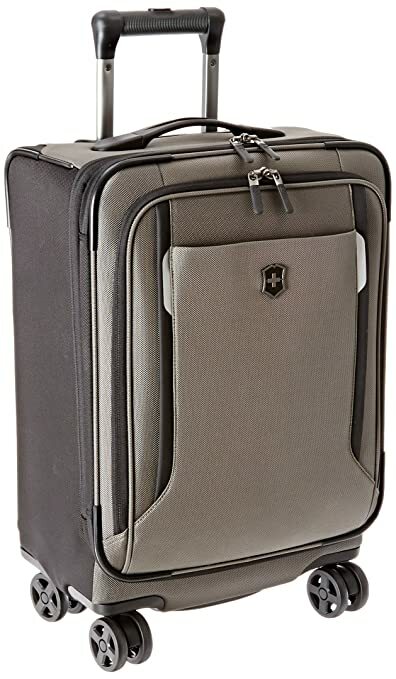 With plenty of room for hanging garments, this 8-wheel storage case is ideal for a three to five day business trip. Dual-trolley handle system allows for superior control. Ribbed, geluxe comfort grip dampens vibrations. Dual-casters deliver a smooth, stable, quiet roll and provide 360 degree movement with zero weight-in-hand. Exterior features two large front zippered pockets ideal for storing accessories. Interior features a tricot-lined tie pocket, organizational pockets, two removable mesh storage cubes and a detachable J-hook for hanging. Hanger clamp secures garments and foam bolster compression strap helps minimize wrinkles. 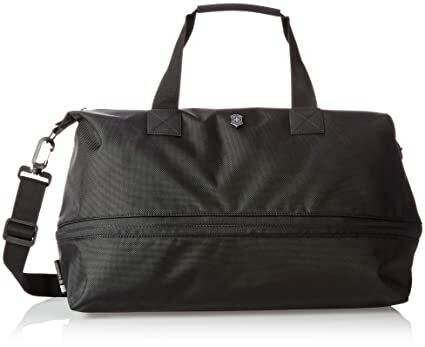 Removable attach-a-bag strap secures an additional bag to the front of the garment bag and holds up to 30 pounds (13.6 kilogram). Integrated id tray. Lockable YKK racquet coil zippers. Travel sentry approved combination lock secures belongings and allows U.S. airport security screeners to open the lock without destroying it and relock it after inspection. Access lock combination recovery program allows you to register your lock combination on victorinox.com and recover it if it is ever forgotten. Global lifetime plus limited warranty for five years from the date of purchase this warranty covers functional damage caused by common carries such as airlines, taxis, trains and cruise ships, as well as defects in materials and workmanship. Should a defect or damage appear under normal used during the first five years of ownership, we will repair or replace your product as appropriate at our discretion. For years six and beyond the product is guaranteed to be free from defects in materials and workmanship. See victorinox.com for full warranty details. 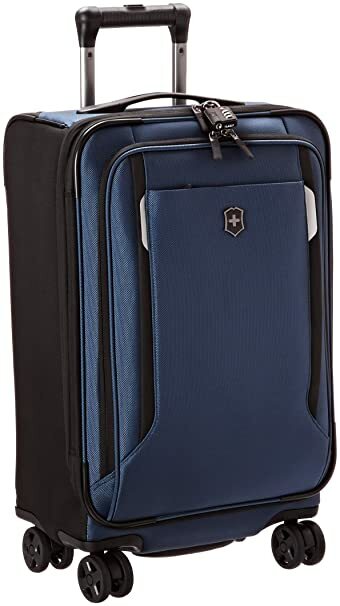 Lightweight carry-on cabin bag contains four packing solutions including the pack more divider which allows you to organize belongings and pack clothing flat and wrinkle-free. U-shaped front pocket holds up to a 15.6 inch 40 cm laptop. The intelligent pack more system consists of four packing solutions resulting in 16 possible packing configurations. Pack more system includes the pack more divider, X-shaped compression straps, a 2 inch 5 cm zippered expansion and a removable attach-a-bag strap. Pack more divider is adjustable in height and creates a flat packing surface for wrinkle-free transport of clothing. X-shaped compression straps secure and condense contents of bag. Removable attach-a-bag strap secures an additional bag to the front of the upright and holds up to 30 lbs. 13.6 kg. Ribbed, geluxe comfort grip dampens vibrations. Id tray slides into handle bezel for security and convenience. Rear skid plates protect the bag from abrasion. Lockable YKK racquet coil zippers. 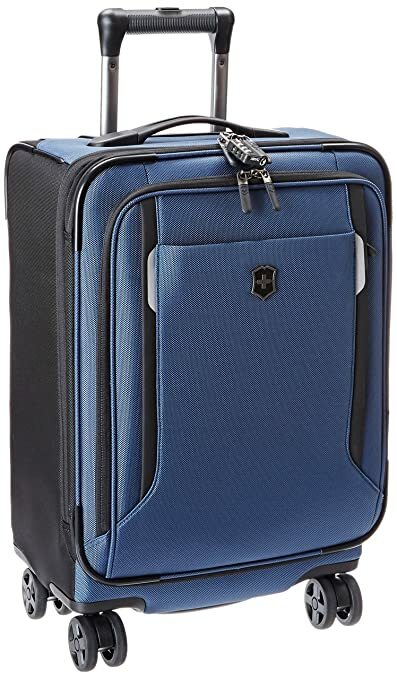 Travel sentry approved combination lock secures belongings and allows U.S. Airport security screeners to open the lock without destroying it and relock it after inspection. Access lock combination recovery program allows you to register your lock combination on victorinox.com and recover it if it is ever forgotten. Global lifetime plus limited warranty- for five years from the date of purchase this warranty covers functional damage caused by common carries such as airlines, taxis, trains and cruise ships, as well as defects in materials and workmanship. Should a defect or damage appear under normal used during the first five years of ownership, we will repair or replace your product as appropriate at our discretion. For years six and beyond the product is guaranteed to be free from defects in materials and workmanship. See victorinox.com for full warranty details. 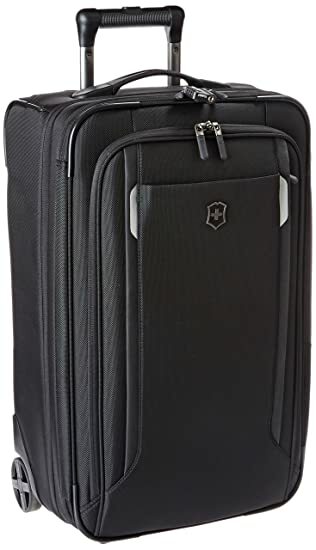 Great for a weekend adventure or a trip to the gym, this spacious carry-all contains ample capacity and a zippered drop down expansion for additional storage room when needed. Interior features zippered lining pocket. 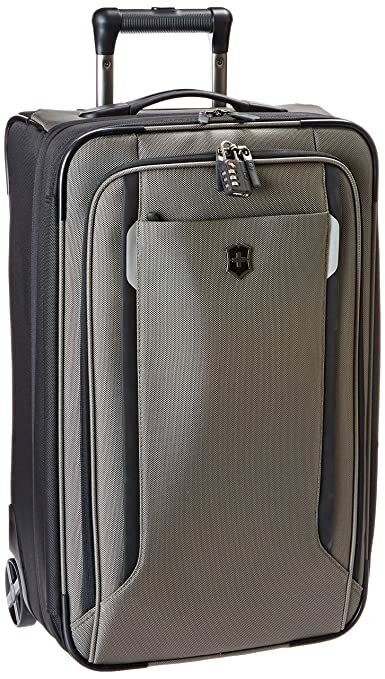 Rear pocket converts to a sleeve for sliding over the handle system of wheeled luggage. Removable, adjustable padded shoulder strap. Molded haul handles. Global lifetime plus limited warranty: for five years from the date of purchase this warranty covers functional damage caused by common carries such as airlines, taxis, trains and cruise ships, as well as defects in materials and workmanship. Should a defect or damage appear under normal use during the first five years of ownership, we will repair or replace your product as appropriate at our discretion. For years six and beyond the product is guaranteed to be free from defects in materials and workmanship. 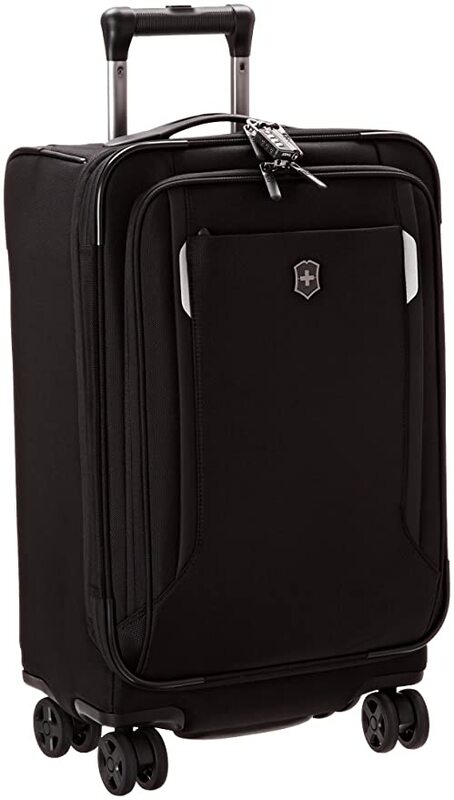 See victorinox.com for full warranty details.